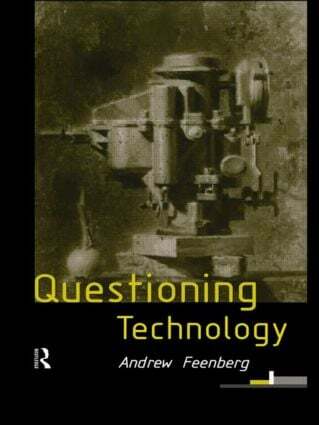 In this extraordinary introduction to the study of the philosophy of technology, Andrew Feenberg argues that techonological design is central to the social and political structure of modern societies. Environmentalism, information technology, and medical advances testify to technology's crucial importance. In his lucid and engaging style, Feenberg shows that technology is the medium of daily life. Every major technical changes reverberates at countless levels: economic, political, and cultural. If we continue to see the social and technical domains as being seperate, then we are essentially denying an integral part of our existence, and our place in a democratic society. Questioning Tecchnology convinces us that it is vital that we learn more about technology the better to live with it and to manage it.